This morning, on our way into work, the RockStars heard this interesting piece on WNYC and PRI’s The Takeaway about a new push to require high school grads to also pass a citizenship test before getting their diplomas. In Arizona, the new law makes it mandatory for students to take the U.S. Immigration and Naturalization civics test, and they must correctly answer 60 out of 100 questions, including queries about the order of U.S. presidents in history. I guess the rest of us will have to take her word for it. When our new client, Macy’s, and our longtime client, singer/songwriter/author and all-around-superstar Thalia, both approached RockOrange about activating a fashion line, we saw an opportunity to make history. RockOrange was engaged to drum up US Hispanic media interest for the launch of Thalia Sodi, the Mexican icon’s clothing line with Macy’s, through an intimate, short lead media event. The collection officially launches in early-February at 300 Macy’s stores nationwide (and on macys.com) and was inspired by Thalia’s personal style. The line features bold colors and animal prints in dresses, tops, pants, shoes and jewelry, all designed to make women feel comfortable, confident and beautiful. The collection is beautiful, and we needed an activation strategy to match. RockOrange envisioned a high fashion event of live looks for an intimate crowd of media, with the added dimension of giving access to a virtual crowd made up of Thalia’s fans. It all came together at Gold Bar in New York’s Little Italy, where an exclusive, invitation-only soiree was held for select media. Those in attendance, who included all major US Hispanic networks, the Associated Press, People en Español, and many more, came in out of the cold to get a front-row seat for hot new styles. But media was just the beginning. In a social media first, we coordinated the debut to stream live on Thalia’s Facebook account where it promptly broke the Internet (ok, not really, but the traffic was still huge). Together, we made history. Fans from around the world tuned in to watch the live feed of the show, and continued to stream it with more than 3 million viewers to-date. The activation was a drop-dead success on all levels. As the first ever Hispanic-backed exclusive clothing line at the quintessential department store, the Facebook runway reveal also became the first of its kind in the history of the ubiquitous social network. The launch was one of the largest in Macy’s history. And, let me just say, I love this project as a case study for what we do, because we satisfied all manner of requests and work types in one job. From digital to outreach to on-site event management and production, we brought together so many of our key capabilities into a multi-directional campaign that hit all the right notes for the client. That’s because RockOrange, if I can be a bit self promotional – and this is our own blog, so I can – is a value-adding agency. We aren’t just order-takers. We are an organization built on ideas and execution. With every client, and especially these two, we develop creative, innovative solutions that break down walls. In this case, we broke down the walls separating Thalia’s fans from a first look at her latest endeavor. 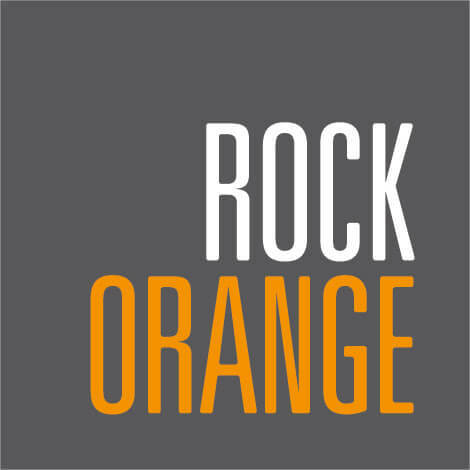 Both clients won big, and RockOrange put another idea and execution firmly in the “fresh” column.